Depending on who you ask, 1,115 foot (350 meter) Peña de Bernal is the second largest monolith in the world after Mt. Augustus in Western Australia and the fourth tallest (or third tallest, again, depending on who you ask) monolith in the world after Mt. Augustus, the Rock of Gibraltar and Sugarloaf Mountain in Rio. 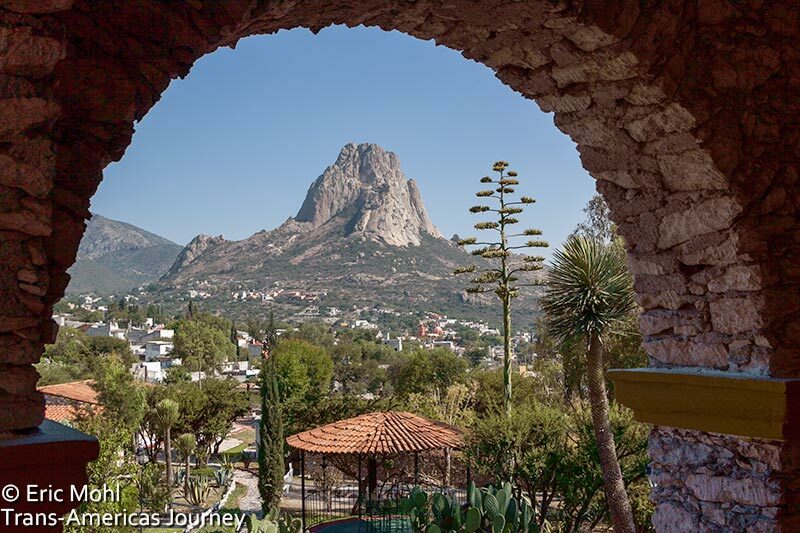 A pedigree like that means a lot of rock climbers travel to the Mexican state of Querétaro to conquer the big rock in Bernal, a town that was rewarded for its stuck-in-time atmosphere by being designated a Pueblo Magico by the Mexican government in 2005. The simple buildings are painted festive colors and the central square is dominated by old men sitting around doing what old men do while younger men gallop down the cobbled streets on horseback. Every once in a while a woman pokes her head out of the shop or restaurant she’s running. Bernal is altogether nap inspiring unless, of course, you are a rock climber. While in Querétaro, make time to tour the Queretaro’s five Franciscan missions (collectively protected as a UNESCO World Heritage site), stop by the tasting rooms of area wineries, which are some of the oldest in the Americas, and explore the capital city of Querétaro. Named a UNESCO World Heritage Site in 1996, the city played a fascinating role in Mexico’s independence and is also home to Colonial architecture, a unique cocktail called Wine Ice and Casa del Atrio one of the Mexico’s best value boutique hotels. Mexico Location: Where is Querétaro, Mexico? Querétaro is located in a region known as Bajío, a area in north-central Mexico, recognized for its quality of life. The state, one of the smallest in Mexico is surrounded by San Luis Potosí to the north, Guanajuato to the west, Hidalgo to the east, México and Michoacán to the southwest. This post is part of the Mexican March Madness 2015, a look at the 31 United States of Mexico in the 31 days of March. Don’t miss a state, sign up for email updates > here.